Picture & Quote Uploaded By Israel. Picture & Quote Uploaded By Casey. Soul meets soul on lovers’ lips. – Percy Bysshe Shelley. Picture & Quote Uploaded By Tucker. 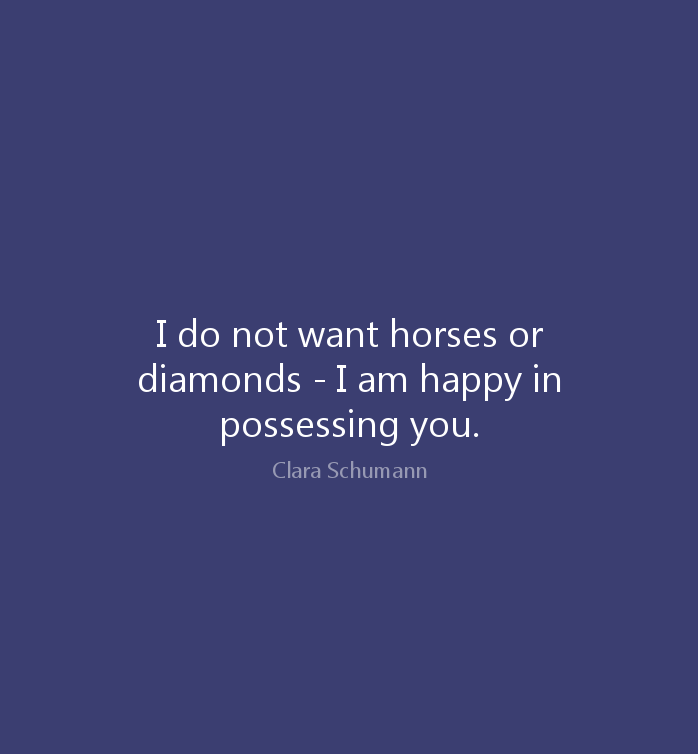 I do not want horses or diamonds – I am happy in possessing you. – Clara Schumann. Picture & Quote Uploaded By Cleon. 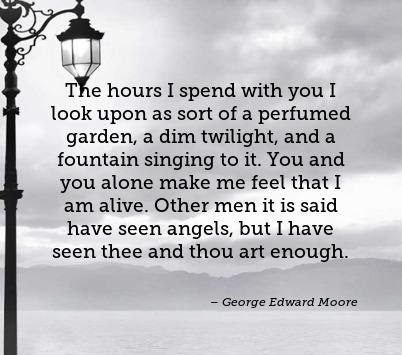 The hours I spend with you I look upon as sort of a perfumed garden, a dim twilight, and a fountain singing to it. You and you alone make me feel that I am alive. 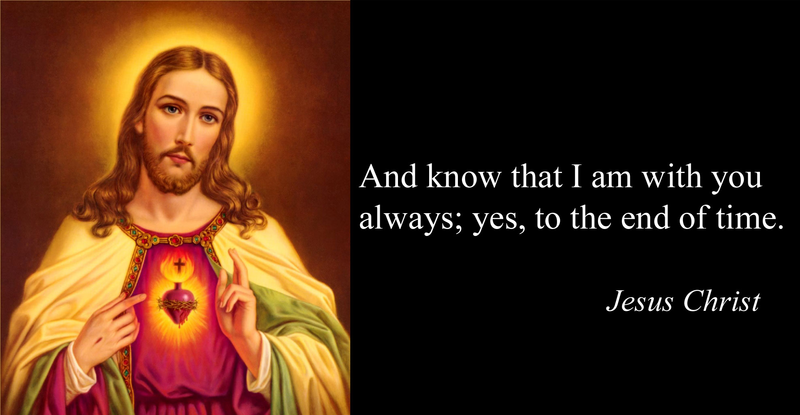 Other men it is said have seen angels, but I have seen thee and thou art enough. – George Edward Moore. Picture & Quote Uploaded By Myron. How did it happen that their lips came together? How does it happen that birds sing, that snow melts, that the rose unfolds, that the dawn whitens behind the stark shapes of trees on the quivering summit of the hill? A kiss, and all was said. – Victor Hugo. Picture & Quote Uploaded By Sanford.